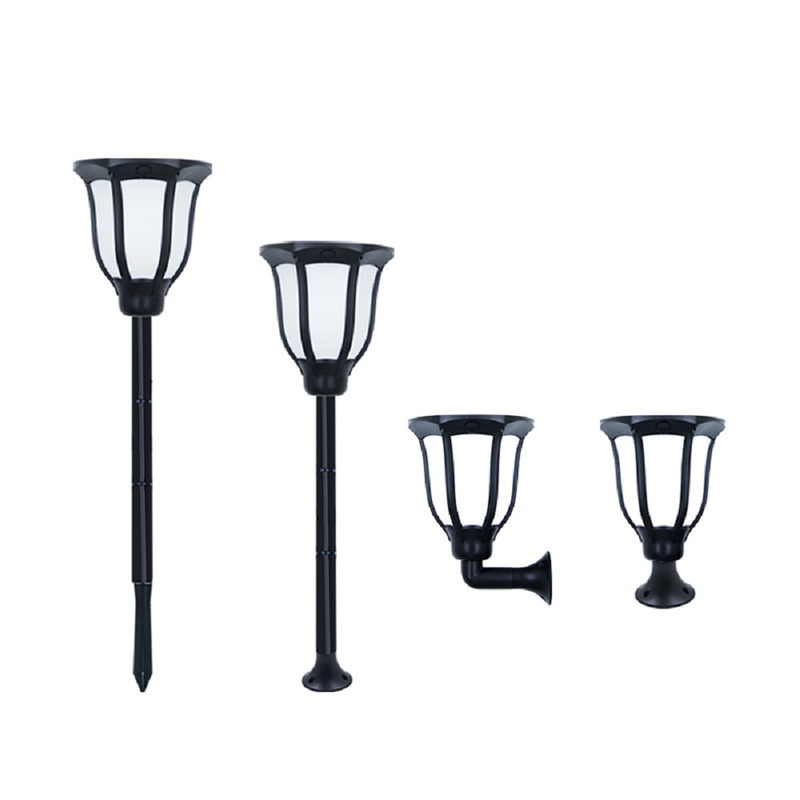 ● 【Simple and Elegant Design】Latest design garden light, Exterior super-looking, modern full, creating romantic feel for your party, barbecue, camping. 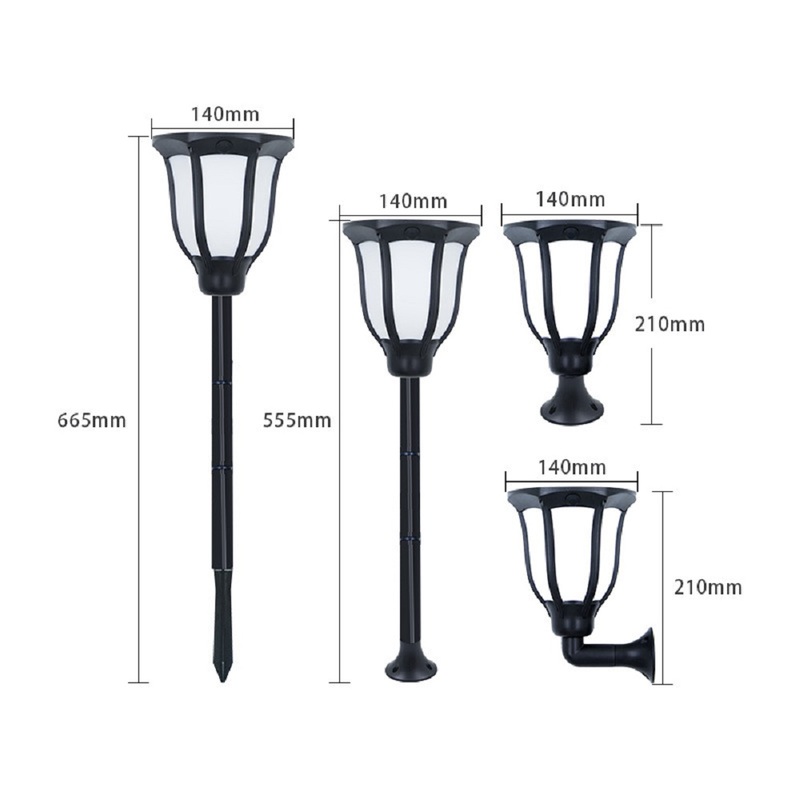 Made of hard plastic and IP65 waterproof material, it is suitable for outdoor use,courtyards, paths, swimming pools, gardens, benches, patios, fences, decks, etc. Holiday Christmas party Christmas atmosphere decorated courtyard light. 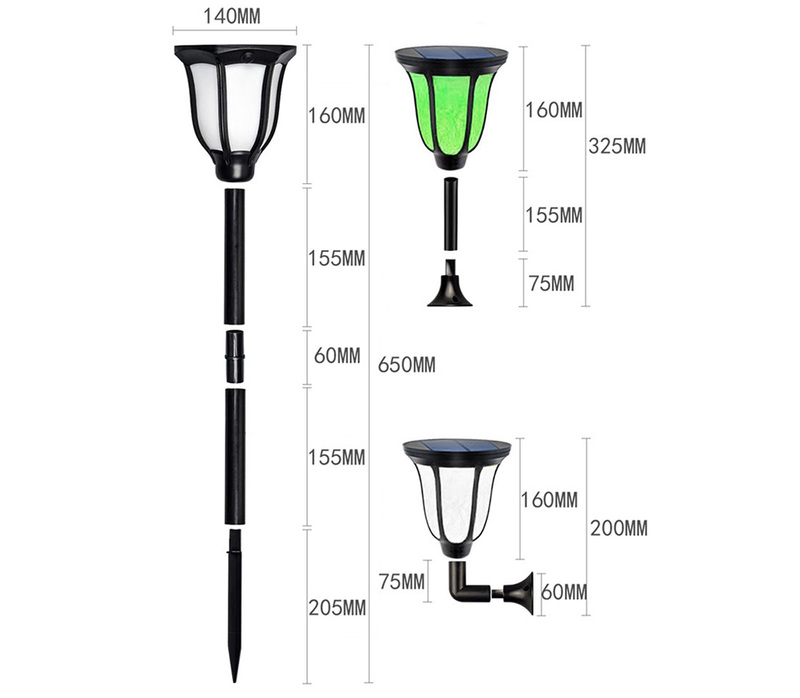 ● 【Solar-powered Lamp & Auto Turn ON/OFF】Solar panel mounted on the top of the lamp effectively transforms solar energy into electric energy and stores it in the built-in battery, no wire needed, auto charge in the daytime and turn on at night or at dask. 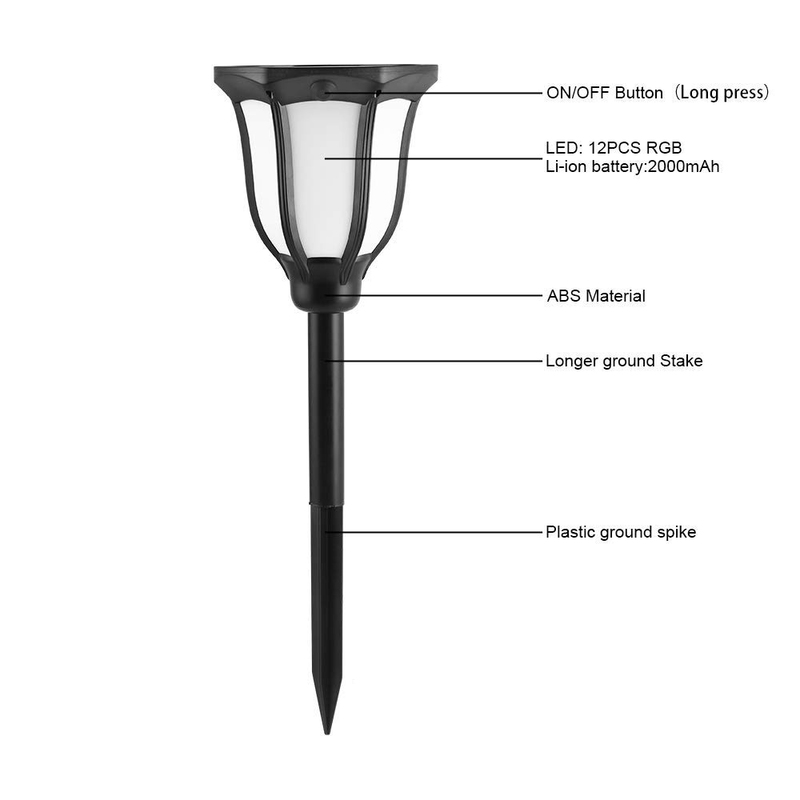 Powered by high capacity 2000mAh rechargeable battery for the light to last for up to 10 hours under fully charged. 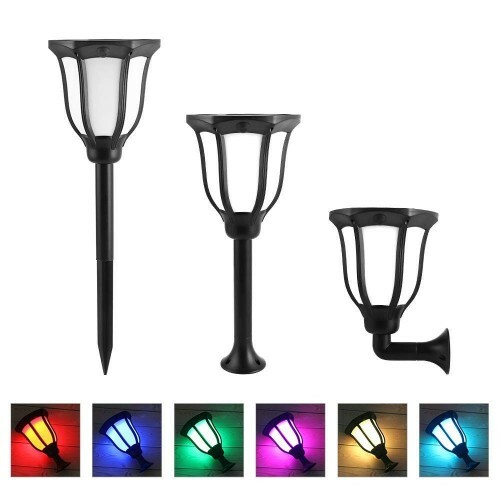 ● 【Colorful Lamplight】There are 6 kinds of colorful light and 2 working models for light display, one color display or 6 colorscircularly display. 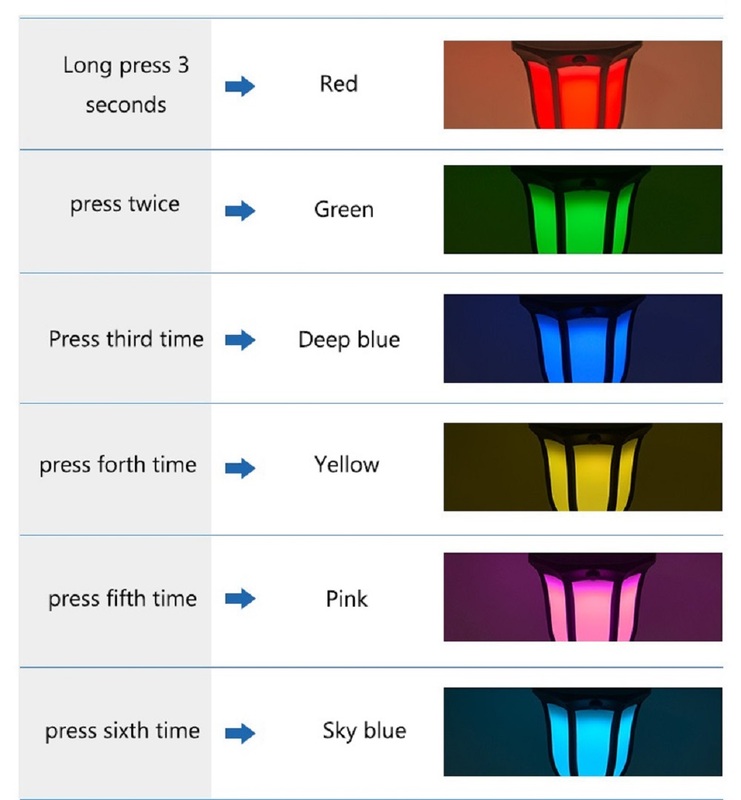 You can press its switch button to select one lighting color among red,blue, green, purple, yellow, light blue. Also you can choose to make this 6 colors light circularly. So wonderful lighting. 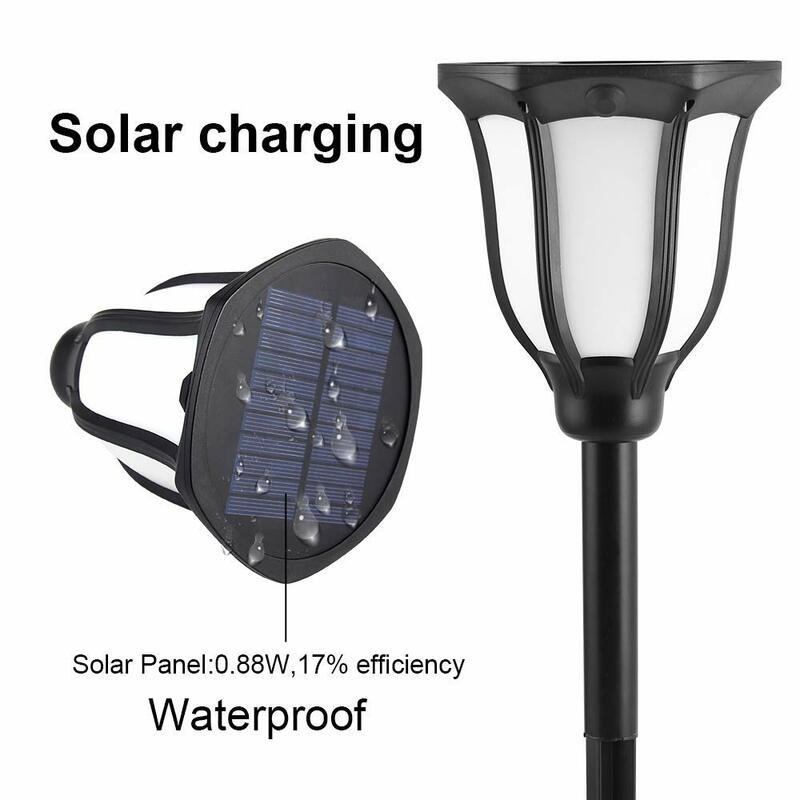 ●【Waterproof & Durable】IP65 waterproof sunscreen outdoor solar street light, can withstand a variety of bad weather, automatic intelligent recognition day and night, Dusk to dawn auto on/off. 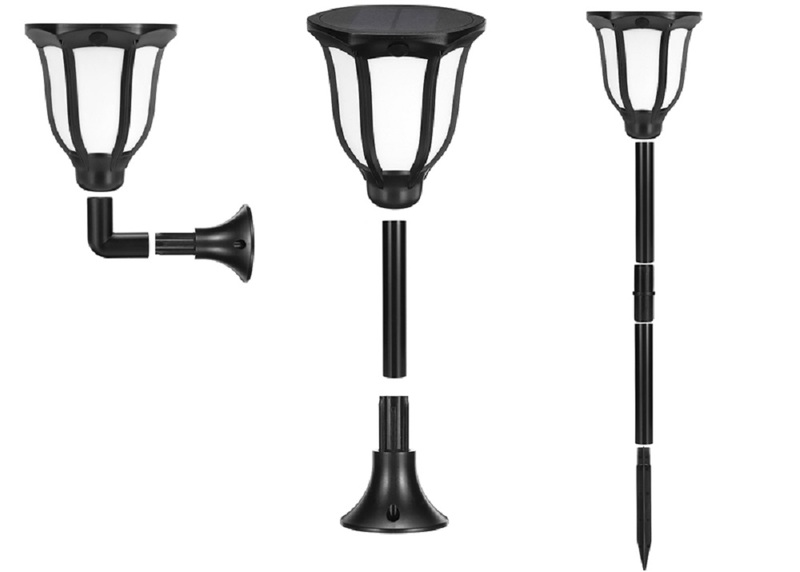 ● 【3-way Installation】Three different installation way applied to different occasions as shown on the pictures. 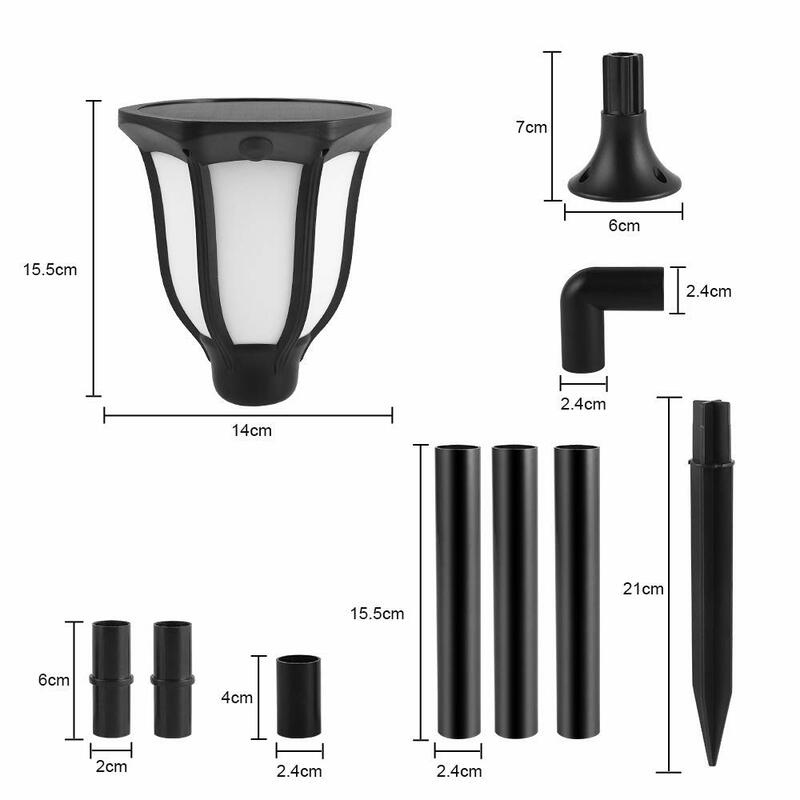 Assembled and working in less than a minute, no wiring required, no electric needed, simply install and enjoy the beautiful night! 1. For the first time using, please charge the product under the sun for several hours before working. 2. When the light flashes, it means that the power is very low. Please immediately take it to charge, otherwise, the product will stop working soon. 3. Please be kindly noted that as a solar powered product, the working time is weather sensitive.The charging performance of solar panel depends on the duration of light and weather conditions. The stronger and longer the sunlight is, the shorter time the charging takes. In cloudy or rainy days, battery performance will reduce, which results to shorter lighting time. 4. Solar panels will be covered with dust because of long-term use in the outdoor. In order to receive better charging performance, please clean it up when necessary. 5.If the ground is too hard, do not twist or hammer it with force.Try to soften the ground with water and then insert into the ground.